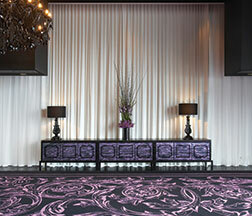 Welcome to Mottura by Vertilux curtain tracks. 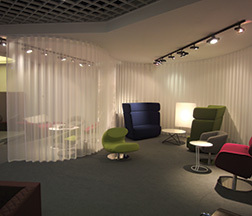 Mottura has been supplier to the international design market since 1963. Due to the technological solutions for every type of application, Mottura is highly sought after by designers and architects alike. Vertilux are now pleased to announce this new partnership bringing Mottura to the Australian design market. Mottura has the solutions to meet the needs of high-end residential curtain tracks right through to heavy duty commercial projects and the needs of the healthcare profession. Be it manual or motorised systems, ‘Mottura by Vertilux’ now offers you Italian design and excellence that is proving to be a winner against its rivals. 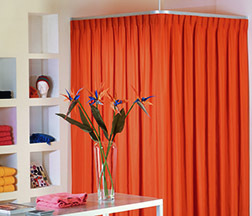 A full range of Mottura Manual Curtain Track Systems suitable for residential and professional use which offers the best solutions for all curtain styles, including the SFold/Wave, and qualities of fabrics, from sheers to velvets. Mottura’s main priority is quality, with sophisticated technology such as M2Net. Mottura offers quiet and smooth running Motorised Curtain Track Systems with the guarantee of excellent performance and longevity. Mottura Healthcare Curtain Track System used for separating areas such as hospital beds. The Track System is suitable for showers and works exceptionally well for both professional and hospital environments.